The Office 2013 Product Key comes with 71% Discounts and just imagine how much you are going to save and how does a 19.19 USD Microsoft Office Product Key would influence a better ambiance for your office or home. You will be getting This Microsoft Office 2013 product key includes Microsoft Excel 2013, Microsoft Word 2013, OneNote 2013, Microsoft Access 2013, Microsoft Publisher 2013, Microsoft PowerPoint 2013 and Microsoft Outlook 2013 all in one.This is both beneficial and amazing, isn’t it? 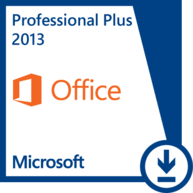 Explore the software and system requirement of Office 2013 Product Key. The procedure is a way to simple and interesting. Please check the way. When you reach our online platform, you must take a look at the top right-hand side. Then move your eyes to the area beside Add to Cart button. There you will find an option to increase the product quantity. The “ ” symbol is for enhancing product number and “-” just the contrary. Eventually, you must click on Add to Card and pay through Paypal. This Microsoft Office Product Key comes with enhanced features and irresistible functionality that would simply blow your mind and assist you organizing your data, connect with your preferred audiences and other matter involved in commercial intent. A large percentage of our customers prefer this product and have even recommended their friends and family to visit our platform. This product key has been popular among people who love using Microsoft products. It is loved by students and entrepreneurs as well and this is not because of its price efficiency but for its amazing features it comes with. Many of our customers mailed is about its versatile functionalities and amazing usage. So as you can see lots of people are very much kin to buy it, so would you just stand far behind? OR just buy it right now?